Easter Sunday | The World of K.W. It’s Easter and a beautiful day in Los Angeles. I managed to get a chocolate bunny and a chocolate egg but this is the first year I did not get an Easter basket. Probably a good thing since I love chocolate and I have a hard time passing it up, but Mom and Dad, where was the Easter basket love this year? Since the weather today was amazing there were tons of beautiful cars out and I decided they were more enjoyable than colored eggs in a basket anyhoo. I took some pics of my favorites to share. A lot of my friends know about my love for cars and speed, but I truly appreciate the design of a beautiful car; classic or current. 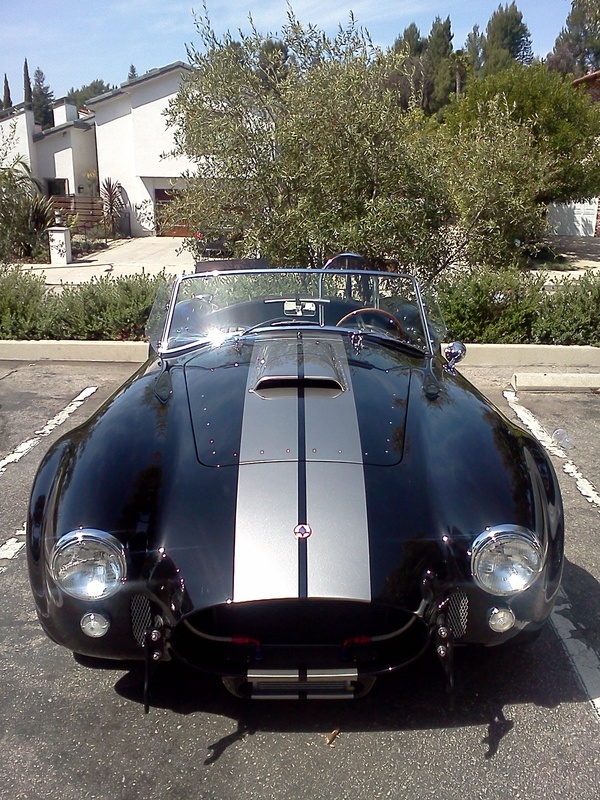 This v8 beauty with it’s chrome roll bars and wood steering wheel insisted on a double take. 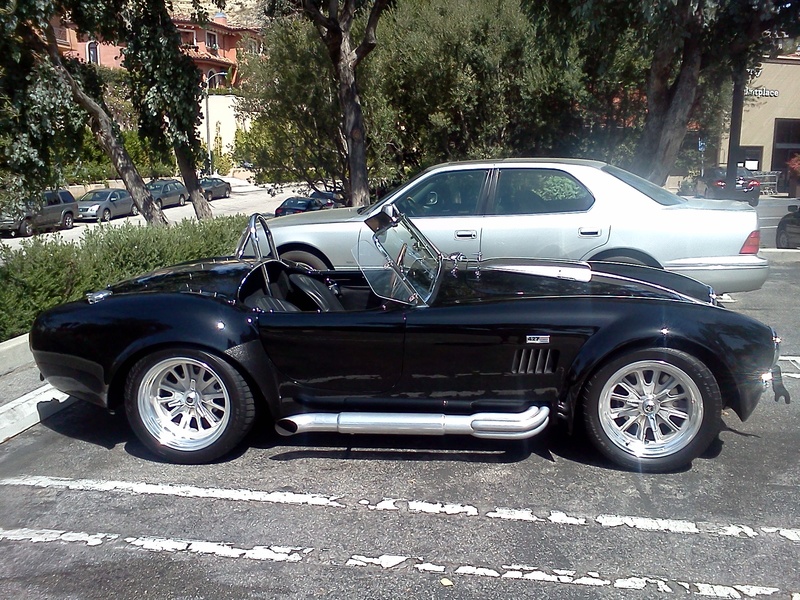 Sighhhh…….I’m curious if this one is a British kit, but I have heard rumors of up to 800 horsepower in only a hand full of the Shelby Snake. I doubt this is one of them, but I was still impressed. I happen to know the owner of this car and I have to mention what an amazing job he did with a few custom ideas for this car. I love that he chose to paint the roof black and tied it in with the custom matte black rims and white calibers, which compliment the color of the car. 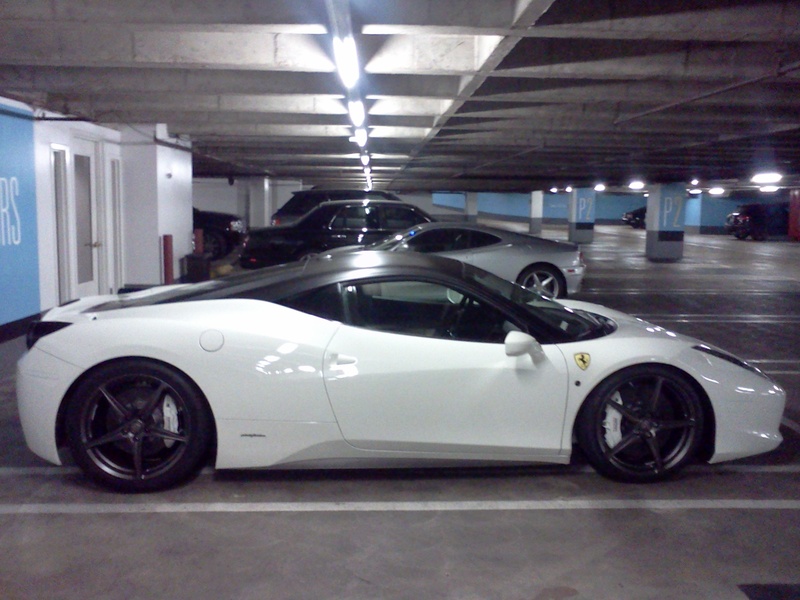 It’s just beautiful and clean and really stands out amongst her fellow 458 Italias. 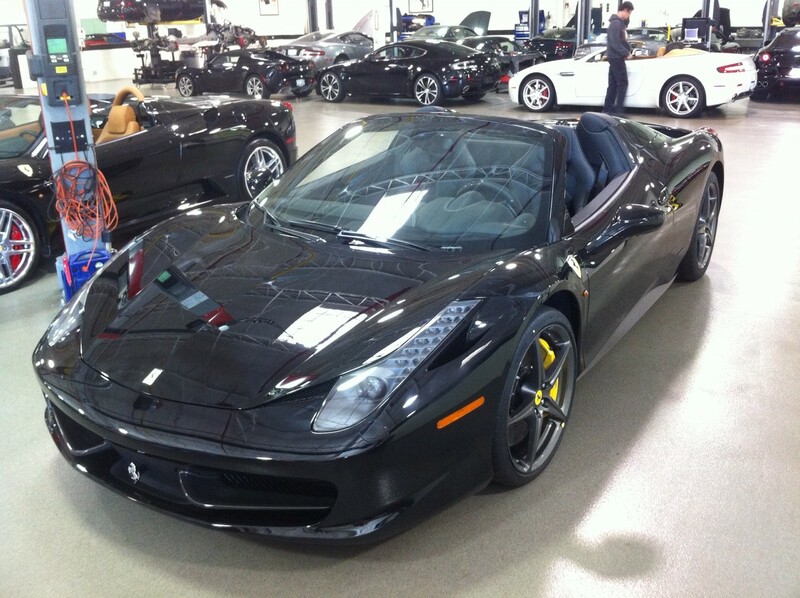 Then followed this beauty…..a 458 Ferrari Spider. It’s a tough toss-up, but I think I am still in love with the white one above. What do you think? 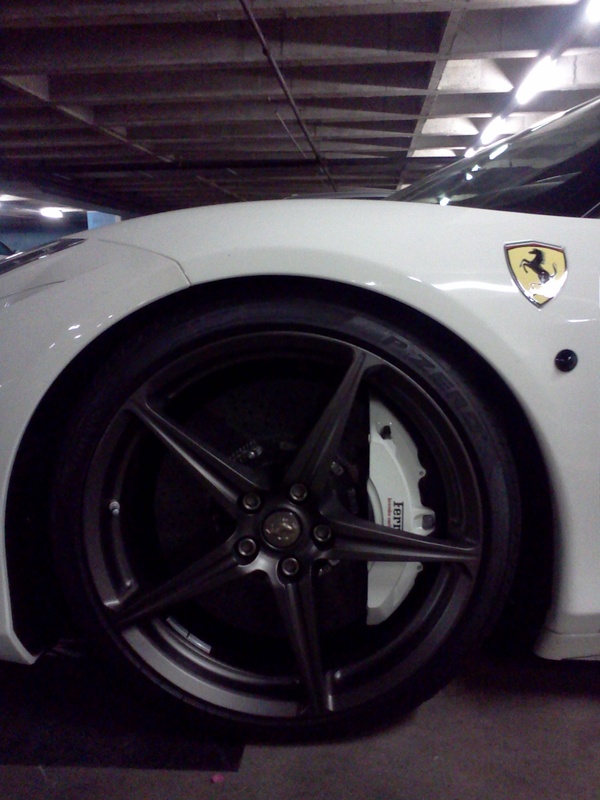 I know for me, I would prefer an Aston in the background over this black beauty….sorry, just being honest. Can you figure out this one? I actually had to look it up. 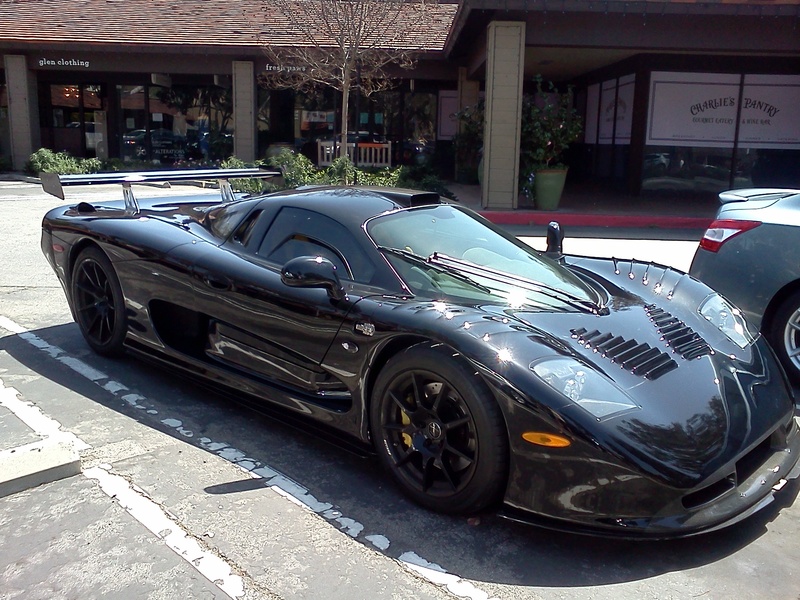 It’s called a Mosler…..super light, and STUPID FAST. 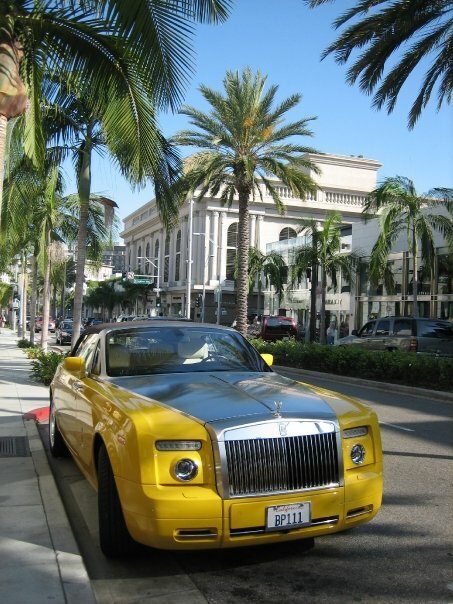 This Easter Egg won my “best in show.” I see this Rolls often just hanging out. Here is a shout out to the Porsche of the day … it may be green, but I’d let him play in my sandbox! I was going through some old racing pictures and I found one from a day on the Universal back lot. It is my favorite in-line 6 perfection, the Supra. I have been blessed to own two if these amazing machines and I miss having one all the time. It was so much fun to drive and work on. It screamed for more power and it’s engine was bullet proof. It was truly a love affair in my humble garage. Easter for me is so refreshing. It represents different things, but it consistently reminds me every year that each day is a fresh start and a new opportunity. Spring is in the air (I know the cherry blossoms are blooming right now on my parents street) and it is the season of new birth. It’s a spiritual energy jumpstart day. I guess this year my energy just included an extra dose of octane. Happy Trails and Happy Easter!